Today, August 24th, is National Waffle Day! 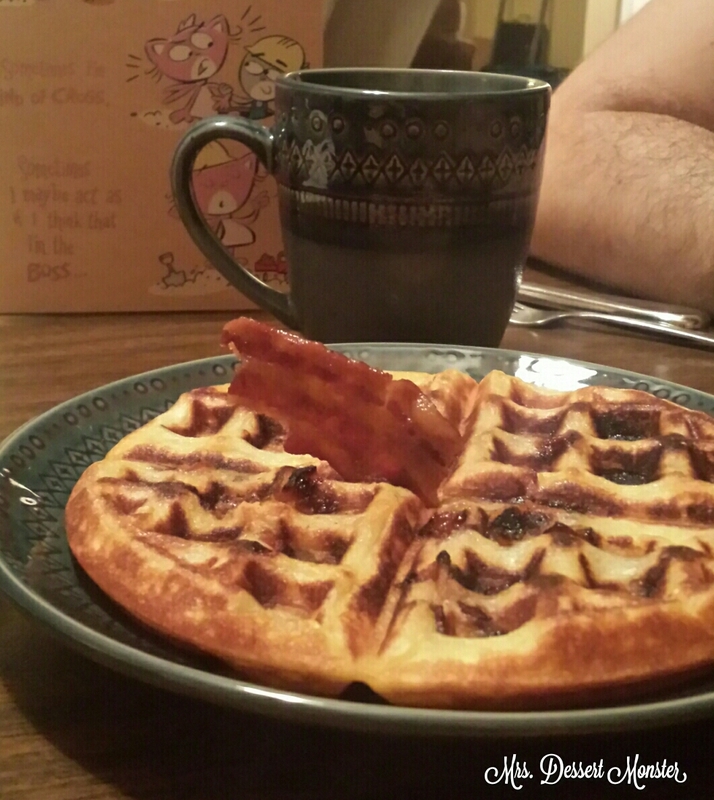 Tonight we are taking Cuban food over to our friends – congri & pork – so no waffles for us. But in our house we have waffles all the time. 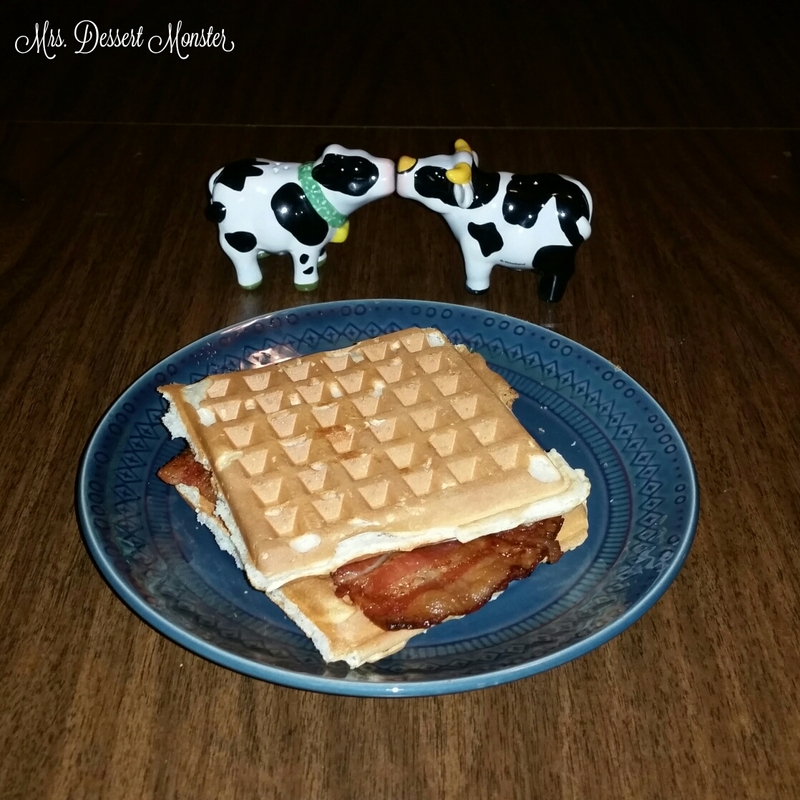 So I decided to compile all of the waffle posts into this ‘ode to waffles’ & include a BONUS waffle entry that I haven’t written about yet. 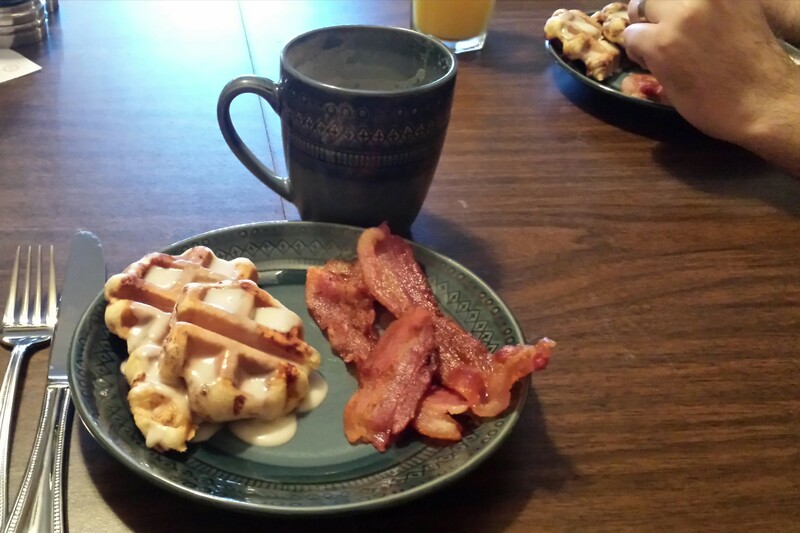 Last year for my husband’s birthday I made him maple bacon waffles. 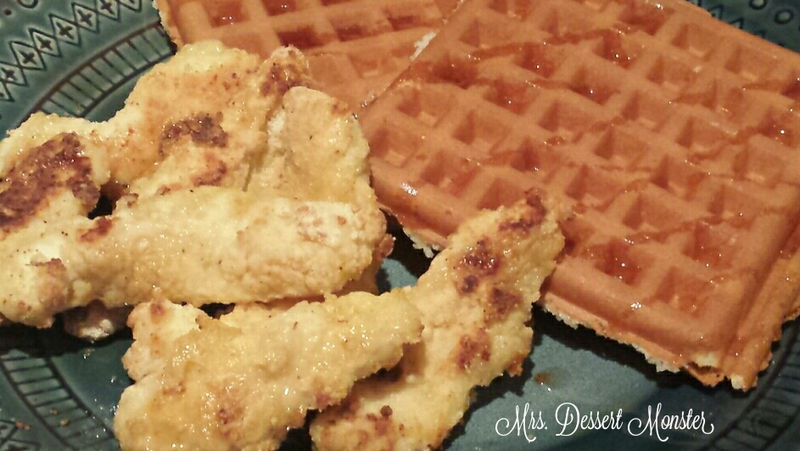 I got this delicious recipe from Ashlee Marie. Apparently we eat a lot of waffles in this house. And a lot of bacon! 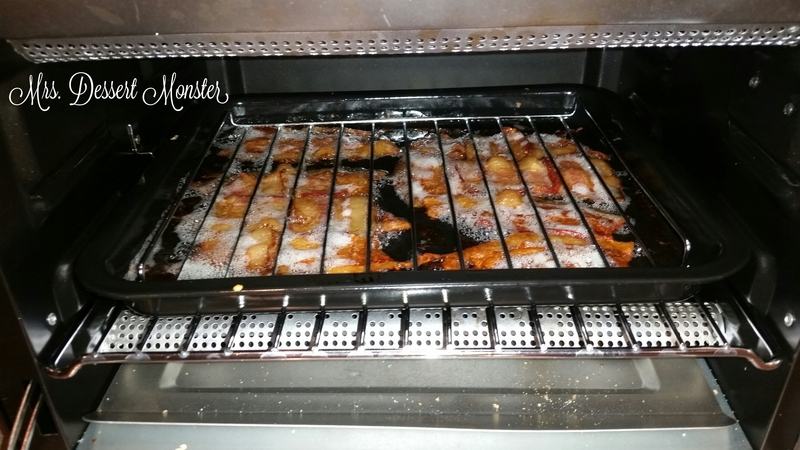 Our friend from Sunday school recently posted a video from MyFridgeFood.com on how to cook bacon better. We are a little bacon obsessed in Sunday School. 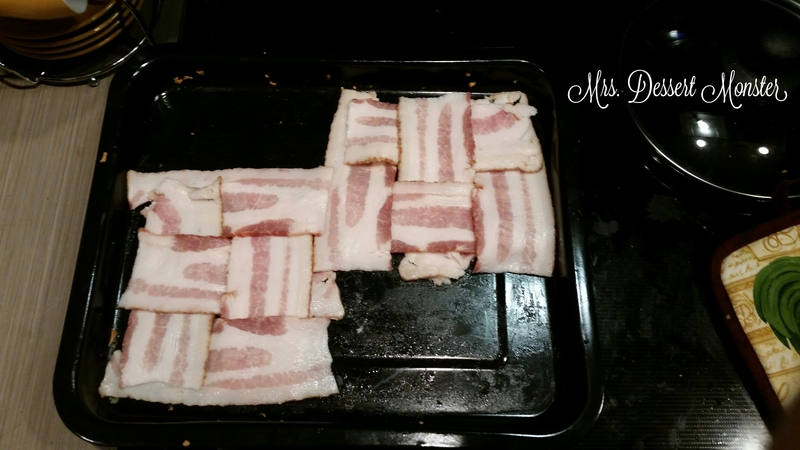 We are even planning a bacon-themed potluck at some point – stay tuned! Last night my husband said he wanted bacon sandwiched for dinner, & since he is the designated bacon cooker (it’s one of the 100 things I love about him) he told me he had a great idea & not to come into the kitchen until he was done. He said, “You may have to blog about this.” So I told him to start taking pictures! Once the bacon was in the toaster oven he let me in on the secret. And he told me his brilliant idea #2. 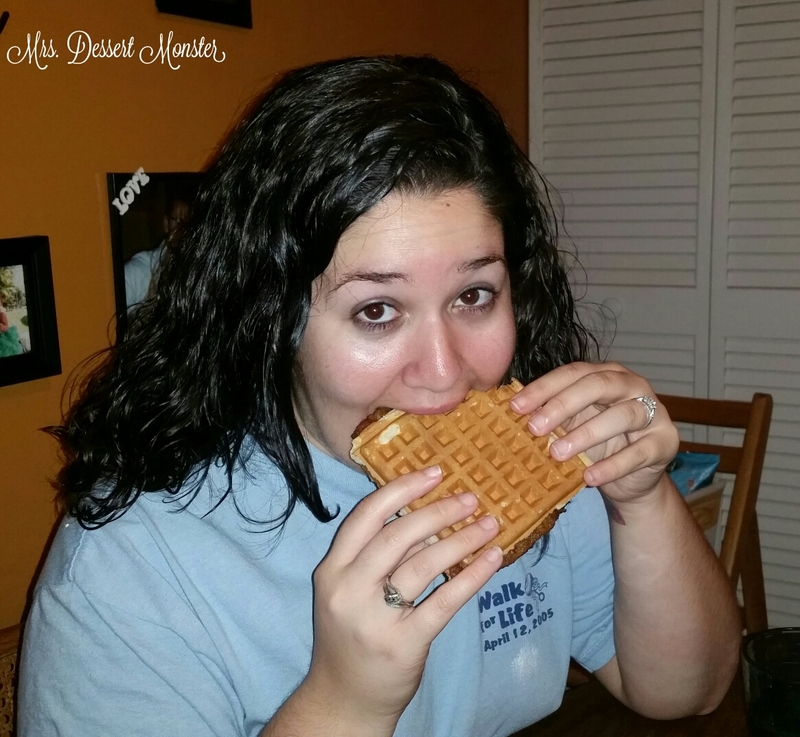 I am currently obsessed with the microwaveable Eggo waffle sandwiches. 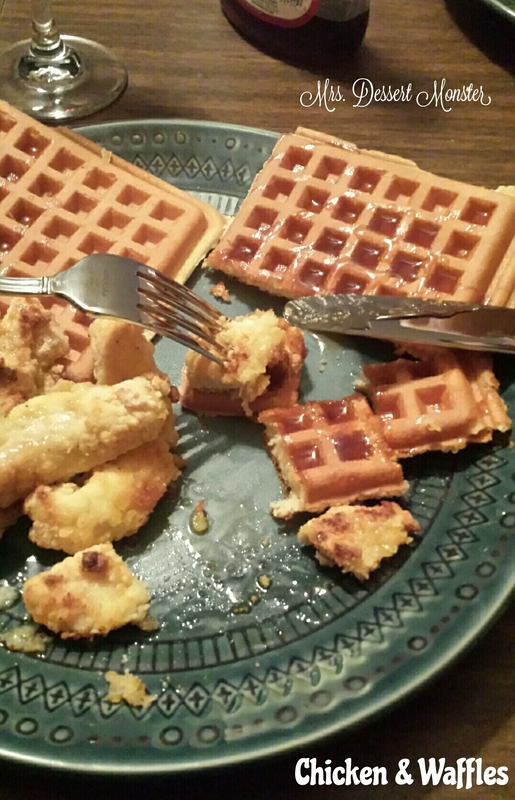 So my husband busted out the waffle maker & got to work making his own version. He is the best. We didn’t go all out with eggs & cheese, just a little butter & syrup. I just had to show off my new salt & pepper shakers! Yesterday was National Cheese Lover’s Day! No, seriously. I thank God that we are fortunate enough in this country to celebrate the little things. 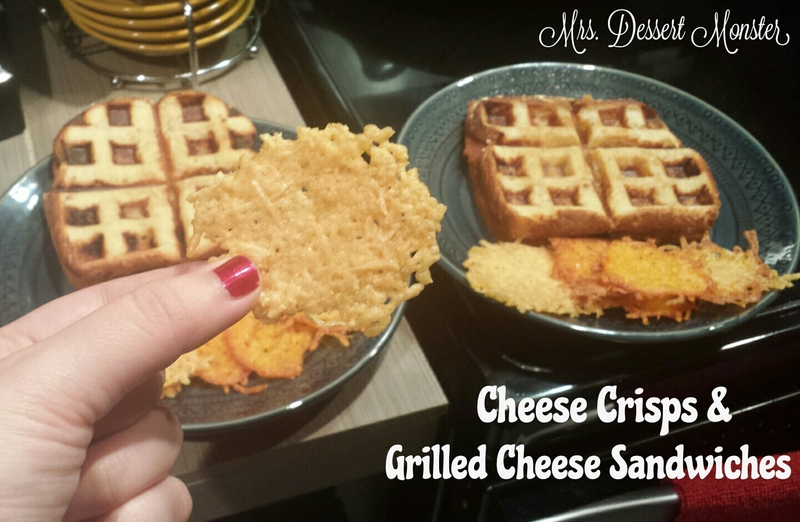 So my husband and I decided to make grilled cheese sandwiches & cheese crisps for dinner. 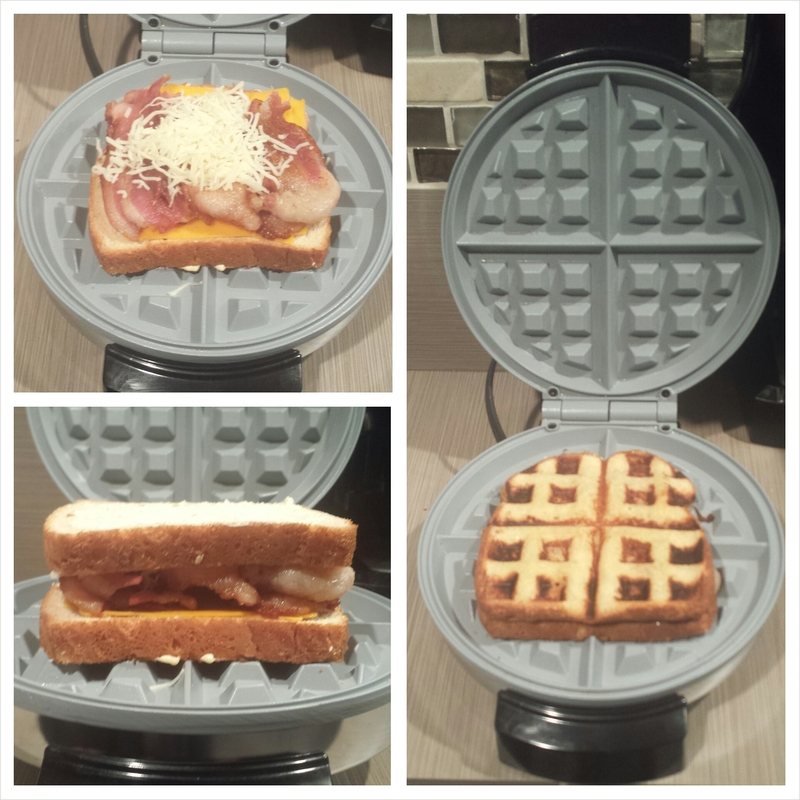 It didn’t seem like anything special, until my husband suggested we cook the grilled cheese sandwiches in the waffle maker (my waffle maker, of course). Waffle everything! So naturally I had to snap some pics. Of course, we put bacon on the sandwiches. And of course, my husband made the bacon in the cast iron pan again. Mmmm bacon (FYI: National Bacon Day is December 30). In our house we have two waffle makers; his & hers. 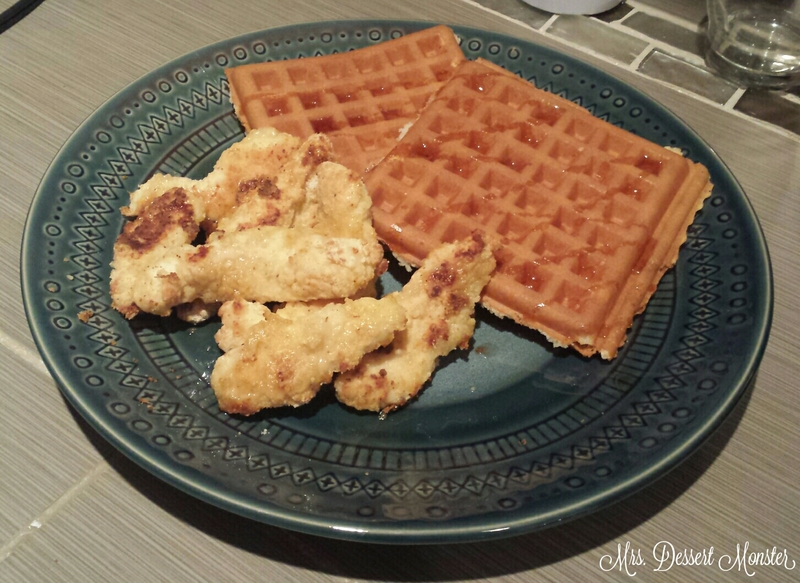 When I first moved in with my husband I was thrilled that he had a waffle maker. 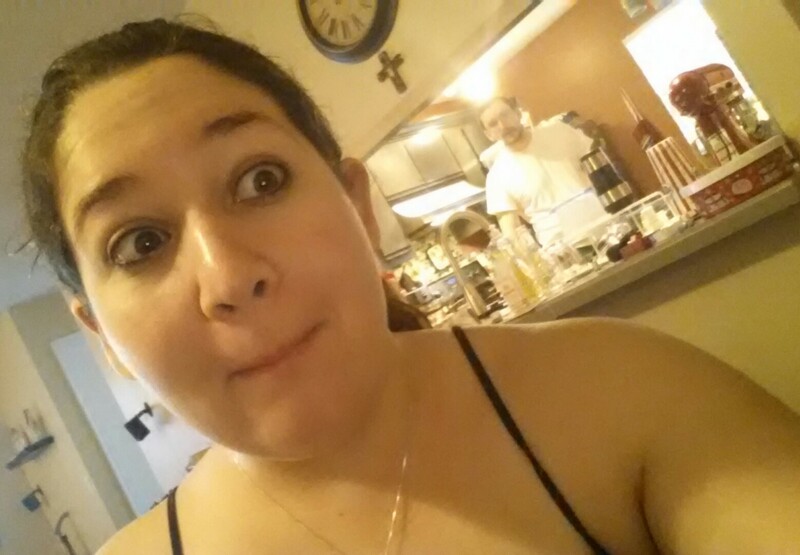 I began telling him how excited I was to make chocolate chip waffles, blueberry waffles, and more. He looked at me with his sweet eyes, smiled, and said, “No.” I was a bit puzzled, especially because I knew he liked blueberry waffles. He then went on to explain that the waffle maker, which is older than both of us, had belonged to his Nana. 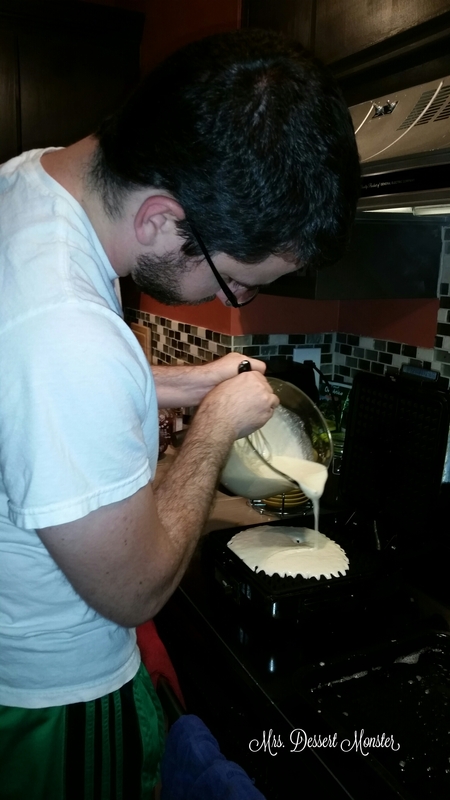 He said that this waffle maker in particular made the best traditional waffles. He told me that when he was little Nana even bought a new waffle maker, but promptly returned it because it just wasn’t as good. So to preserve the integrity of Nana’s special waffle maker, we only use it to make traditional waffles, which really do come out amazing in that thing. I never got to meet Nana, but I can see the influence she had on my sweet husband & I thank her for that. I was really glad to get a waffle maker for my bridal shower, though. Now I can make all of the crazy stuff! Side note: Check out this website, Will it Waffle? I may have to go get that book. On a lazy Saturday morning, we woke up and starting making breakfast. My husband makes my morning coffee on the weekends. He makes it better than I do. I typically just brew some espresso, throw in some milk and sugar and call it a day. He takes the time to froth the milk and tamp the espresso and all of that awesome coffee shop stuff for me. He is also the designated bacon maker in the family. I can make candied bacon in the oven (which I used to make awesome bacon chocolate chip cookies & maple bacon waffles) and that’s about it. If I try to fry it the traditional way, I will burn it. I can’t explain why, but the fact that my husband is such a wiz at it reaffirms my belief that we are meant for each other. So he stared cooking the bacon in our new cast iron pan that we are using for EVERYTHING. Seriously, cast iron cookware is amazing. Temperamental, yes – we got rust spots on all of it the first day we took it out of the box. But the way it cooks everything is awesome & worth the extra effort to keep them nice. 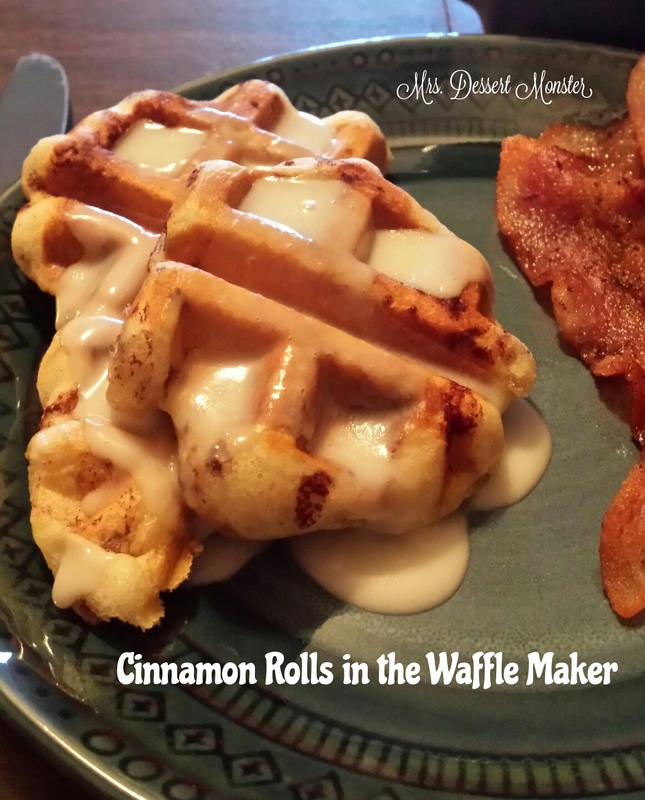 I had seen this idea to make cinnamon rolls this way all across the internet recently. I read several people’s recipes and comments, and most of them said to be careful with the heat because they can burn quickly. So I set the waffle maker to medium & they were done in about 4 minutes. 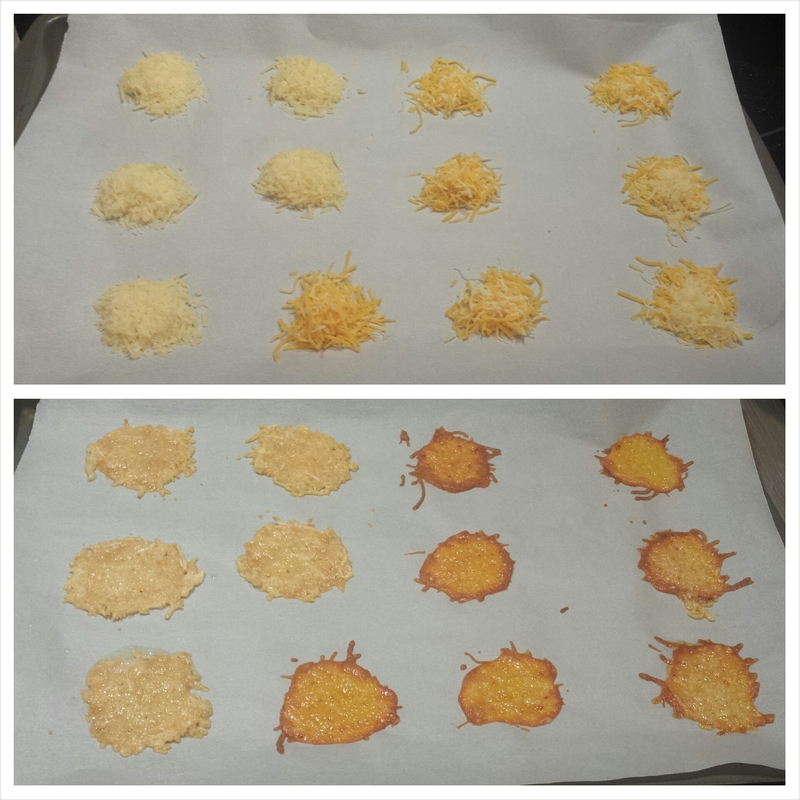 I did manage to slightly burn my finger when I was trying to check the first batch for doneness (hence the ‘before’ picture of the first batch, and the ‘after’ picture of the second batch below). Don’t be clumsy like me. So after the delicious breakfast, the only thing left was to clean up. I didn’t use this tip, but that website I mention earlier, Will it Waffle?, has a great tip on how to clean waffle makers. 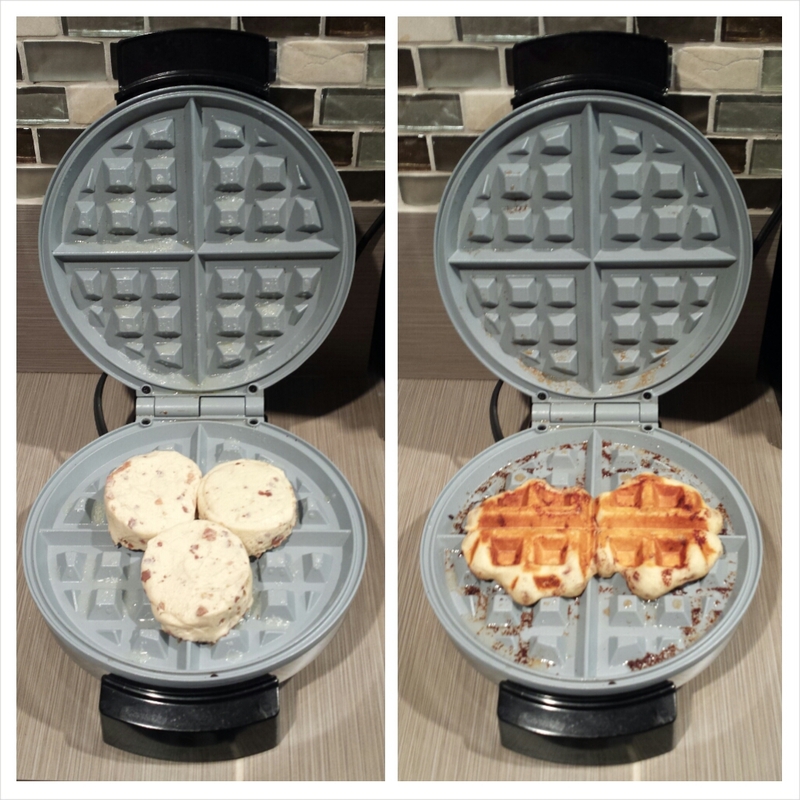 Scrape off as much gunk as you can, and then make a regular waffle in it. That waffle should pick up anything left on it. It makes sense; such a simple idea with leftover/discarded batter. What I did this time is after I scrubbed it with a soft soapy brush & wiped it, I put a wet paper towel in it & turned it on to let it steam. Then I wiped it up with a dry paper towel. Everything came off pretty easily. All clean for the next waffle project. Any ideas as to what it should be?